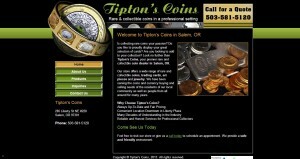 Tipton’s Coins address, phone, website, hours of operation, and more. 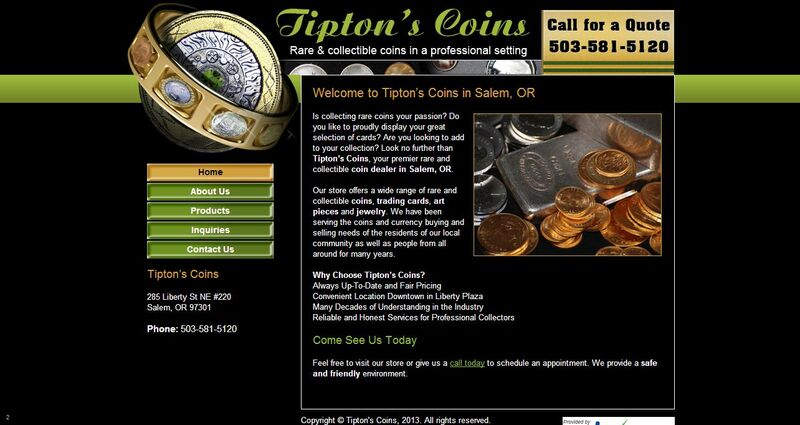 Tipton’s Coins in Salem, OR is a locally owned company that performs sales and purchases of collectible coins, gold, platinum and silver among other metals. Come to us for reasonable pricing, top quality products and exceptional customer service that can’t be found anywhere else. We take great pride in offering the highest level of competence, acquaintance and service to each of our clients. In addition to our extensive assortment of rare and precious coins and currency, you can also find collectible trading cards, jewelry and framed art at our store. We know that our customers expect and deserve nothing but the best from us and we make sure to deliver just that.